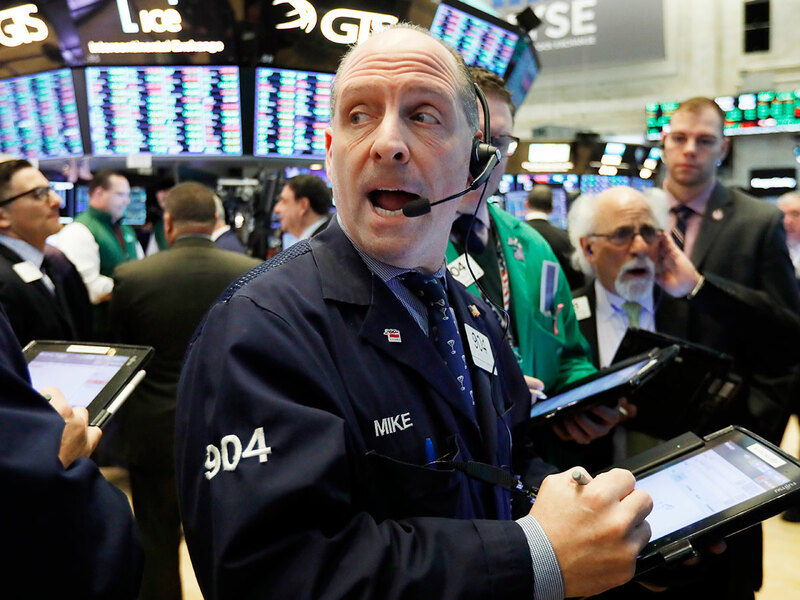 World stocks and the dollar steadied on Wednesday ahead of policy guidance from the US Federal Reserve, with Apple results providing relief while market confidence that a no-deal Brexit can be avoided took a hit. The MSCI world equity index, which tracks shares in 47 countries, was 0.1 per cent higher by 1140 GMT following gains in Asia overnight and a muted start to trading in Europe. The pan-European STOXX 600 benchmark index was also up by 0.1 per cent. Investors pondered the possibility of a “no-deal” British departure from the European Union after UK lawmakers instructed Prime Minister Theresa May on Tuesday to reopen the treaty she had negotiated with Brussels to replace a divisive Irish border arrangement. “While a no deal scenario is still unlikely, these developments increase the risk of accidentally leaving the EU without a deal and plans may intensify from both sides to manage that outcome,” said Bethany Payne, Global Bonds Portfolio Manager at Janus Henderson. Goldman Sachs upped its “no-deal” Brexit probability to 15 per cent from 10 per cent, and cut the chance of Brexit not happening at all to 35 per cent from 40 per cent. Worries over a disorderly exit of Britain from the club it joined in 1973 hammered the pound overnight and that in turn helped lift the internationally exposed UK top share index by 1.3 per cent in late morning deals. Sterling recovered to be up 0.25 percent at $1.3101 (Dh4.8), suggesting investors remained hopeful that a chaotic Brexit could still be avoided even though Brussels has indicated that the divorce deal was not up for renegotiation. Talks between the sides continued. European Council President Donald Tusk and British Prime Minister Theresa May will have a phone call about Brexit later on Wednesday, an EU source said. Investors were relieved that there was no more bad news after the company shocked financial markets at the start of this month with a revenue warning that triggered fears that US-China trade tensions were taking a toll on the tech sector. “Apple earnings delivered enough for investors to come back on board,” said Markets.com analyst Neil Wilson. US S&P 500 e-mini futures added 0.25 per cent, while European tech shares were among the best performers in European trading. Luxury stocks, heavily exposed to the Chinese markets, also rose. The two sides will meet next door to the White House in the highest-level talks since US President Donald Trump and his Chinese counterpart Xi Jinping agreed a 90-day truce in their trade war in December. “I expect that the Washington summit will help pave the way for an extension of the trade truce. This is also what markets expect and a failure of the talks is not priced in at all,” said Giuseppe Sersale, fund manager at Anthilia Capital. Expectations from Wednesday’s Federal Reserve rates review are that policymakers will reinforce their recent dovish stance, given signs of a slowdown in the US economy. US interest rate futures are pricing in virtually no change in official rates this year. Investors are looking for hints from Chairman Jerome Powell on whether he has any inclination to slow the drawdown of the Fed’s balance sheet by up to $50 billion a month. The dollar index — a gauge of its value versus six major peers — was flat at 95.816. The Australian dollar surged 0.6 per cent as inflation topped forecasts, while the Chinese yuan reached a six-month high in the offshore market before the trade talks. In commodities, gold rose to fresh 8-1/2-month highs, supported by uncertainty over US-China trade relations and expectations the Fed will keep policy on hold. It was up 0.09 percent of $1,313.26 per ounce. Oil prices inched up, supported by concerns about supply disruptions following US sanctions on Venezuela’s oil industry but pegged back by a darkening outlook for the global economy. US West Texas Intermediate (WTI) crude futures added 0.69 per cent at $53.71 per barrel, while Brent crude oil futures added 0.70 per cent at $61.75 per barrel.